*YRP Center No. 1 Building comprises offices of Yokosuka Telecom Research Park, Inc. and YRP R&D Promotion Committee, YRP Hall, and Meeting Room 1, 2, 4. Keikyu Line "YRP Nobi" station is the closest station from YRP. *Buses for YRP run almost every 10 minutes, and the number of bus will increase in the morning and evening of weekdays. 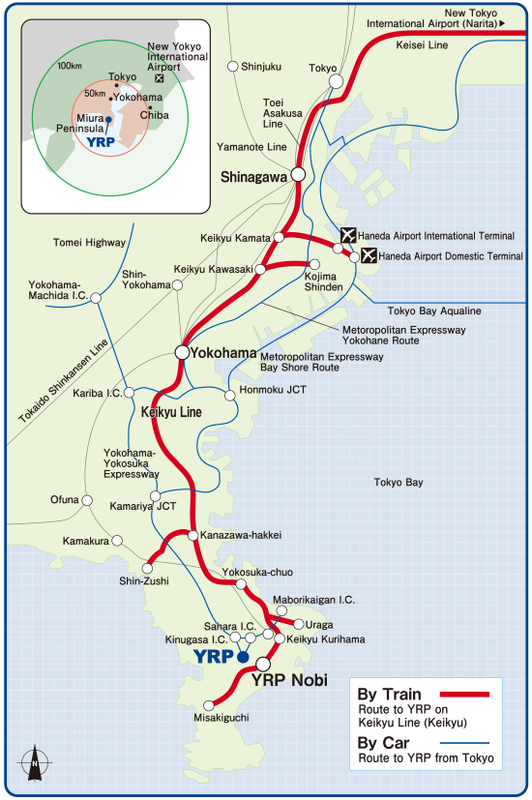 *There is a bus route to/from JR Yokosuka Station in the morning and evening of weekdays. There are several toll car parks in YRP. *The number of the car park is limited. Use of public transportation (train, bus, taxi) is highly recommended.